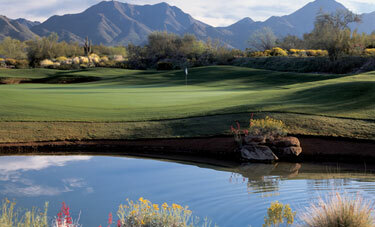 Ancala Country Club, is a Private, 18 hole golf course located in Scottsdale, Arizona. 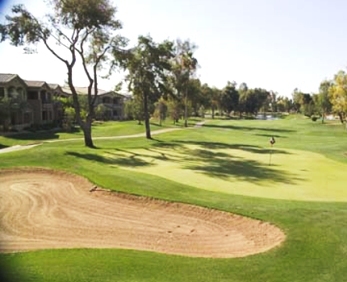 Ancala Golf Course first opened for play in 1991. 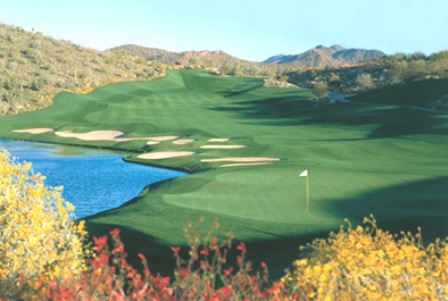 The course was designed by Perry Dye. Tournaments can be scheduled for non-members on Mondays only. Call the course for details. 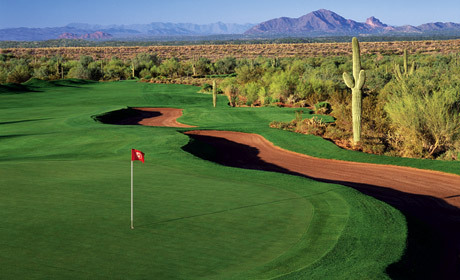 This desert course puts a premium on shotmaking and accuracy. 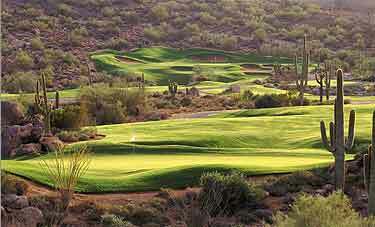 From the back tees which play to 6,841 yards, this is one of the tougher courses to play. The white tees play to 6,332 yards and the reds play to 5,204 yards. 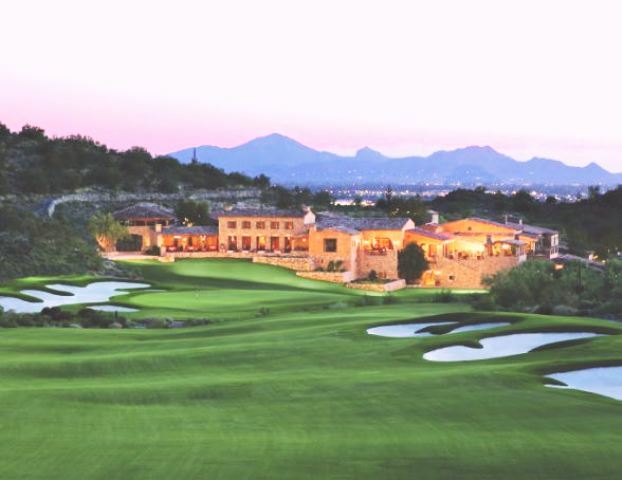 From the 6,841 yards blue tees the course carries a rating of 73.6. The LPGA Mitsubishi Invitational was held at Ancala Country Club in 1993. They haven't been back because they reportedly considered the course too difficult.